Our range of products include logas diaphragms (suitable for), logas diaphragms, gas meter diaphragms and lon gas diaphragms. Being one of the prominent manufacturers and suppliers of Logas Diaphragms, we are highly regarded in the industry. Our product range is manufactured using the most advanced technology combined with optimum quality materials. These products are highly recommended across the globe for their high performance and durability. In addition, our expert quality analysts test these products thoroughly. 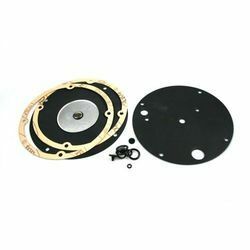 We are offering high quality Logas Diaphragms which are manufactured from high grade of raw material. As a leading manufacturer and exporter, we are actively engaged in offering specially designed Gas Meter Diaphragms. Our product is made from premium quality raw materials through processes like punching, gasketing and riveting. Our product is designed in strict compliance with the prevailing industry standards and is widely used in automobiles, oil and gas industries. 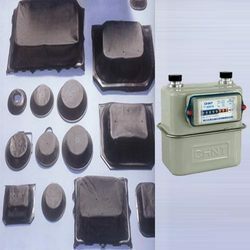 We hold specialization in offering Lon Gas Diaphragms to the clients. These products are made using superior grade raw materials which are procured from certified vendors of the industry. Our diaphragms are suitable for all types of CNG gas kits. Moreover, offered products are available in customized specifications as per the customers’ requirements. 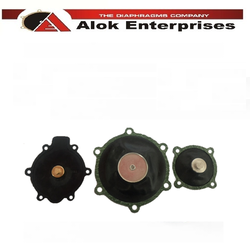 Looking for Gas Meter Diaphragms ?